The recent announcement of a $480 million US Army contract awarded to Microsoft over Magic Leap for supplying 100,000 augmented reality headsets shows just a how lucrative the enterprise (and government) sector can be for AR. However, considering sales of total smartphones topped 384 million in the first quarter of 2018 alone, the total addressable market of enterprise plus consumer shows why consumer-grade augmented reality is still a big target for the industry. That's why Niantic is investing in AR displays from DigiLens, and why WaveOptics is partnering with consumer electronics manufacturer Goertek to get consumer-priced smartglasses to the market. In the meantime, there are plenty of smartphones out there for mobile AR apps and investors are eager to capitalize on that market as well. In fact, this week one startup secured $3 million in funding to launch an augmented reality navigation app. In their first head-to-head major contract clash, Microsoft has emerged victorious over Magic Leap, as the US Army has awarded a $480 million contract to the HoloLens maker. Microsoft will provide 100,000 customized HoloLens units to the Army for its Integrated Visual Augmentation System (IVAS), a project intended to provides soldiers with a battlefield heads-up display, although only 2,500 have been slated for delivery within the first two years. 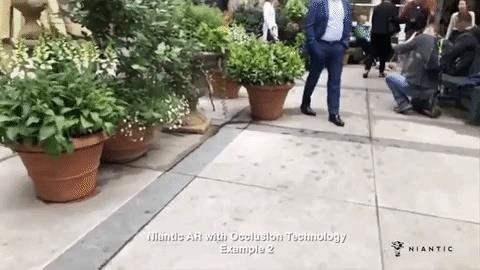 REALITY BITES: In a tweetstorm on Sunday, Steve Lukas, a developer relations manager at Magic Leap, explained the difference between apps and features as they pertain to AR. For instance, as impressive as multiplayer and persistence are, he says those are just features, and apps still need a compelling experience to go with those features in order to lure in users. The company behind augmented reality's first real gaming hit, Pokémon GO, is quietly making moves toward supporting the rapidly growing smartglasses space that may one day move its content away from smartphones and tablets and onto AR lenses positioned on your face. On Friday, augmented reality display maker DigiLens announced that it has closed a Series C funding round from Pokémon GO developer Niantic and Diamond Edge Ventures, the investment subsidiary that Mitsubishi Chemical Holdings Corporation (MCHC) launched in July. REALITY BITES: Samsung Next isn't ready to share the fruits of its Project Whare AR cloud platform just yet. Nevertheless, the emerging technology group is looking for talent to work on the platform, with openings for a senior computer vision engineer and a full stack engineer currently available. Another contestant has emerged in the race to deliver a mainstream augmented reality car navigation system, with Silicon Valley-based Phiar picking up $3 million in seed funding to launch its own artificial intelligence-based mobile app by mid-2019. The Venture Reality (VR) Fund and Norwest Venture Partners led the seed funding round, with Anorak Ventures, Mayfield Fund, Zeno Ventures, Cross Culture Ventures, GFR Fund, Y Combinator, Innolinks Ventures, and Half Court Ventures also participating. REALITY BITES: New York is the center of the universe for most industries, and now it's making a play to become the nexus of augmented reality and virtual reality. Backed by a $5.6 million investment by the New York City Economic Development Corporation and the Mayor's Office of Media and Entertainment, the city has cut the ribbon on the first municipally-funded VR/AR center in the US, called RLab, which is located at the Brooklyn Navy Yard. WaveOptics, makers of diffractive waveguides, has inched closer toward getting products featuring its technology to market through a production partnership with a consumer electronics company whose clients include Google, Microsoft, and Sony. China-based Goertek, an original design manufacturer (ODM) with a $2 billion market capitalization, will serve as WaveOptics' outlet for producing its waveguides, the optical component of smartglasses that projects digital images over the user's field of view. 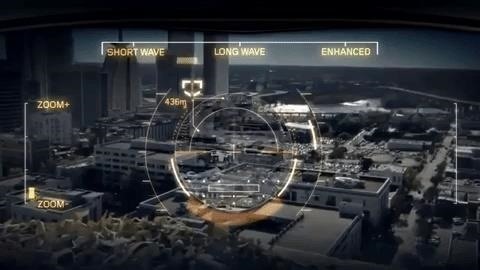 The deal will allow for high production volume and, ultimately, a consumer-friendly price point for smartglasses, which WaveOptics has previously pegged at $600. REALITY BITES: We've established a new section on Next Reality that pulls together all the news on the business of augmented reality. So if you're craving news on investments, executive arrivals and departures, market analysis, and the like, check out our AR Business section! Every Friday, Next Reality reviews the latest headlines from the financial side of augmented and mixed reality. This weekly Market Reality column covers funding announcements, mergers and acquisitions, market analysis, and the like. Check out previous editions of Market Reality for more news you may have missed.